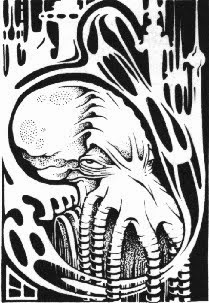 · Various Call of Cthulhu materials (parts of the core book, various adventures, bits from the Dreamlands). · The OpenQuest core book and OQ’s Savage North adventure pack. 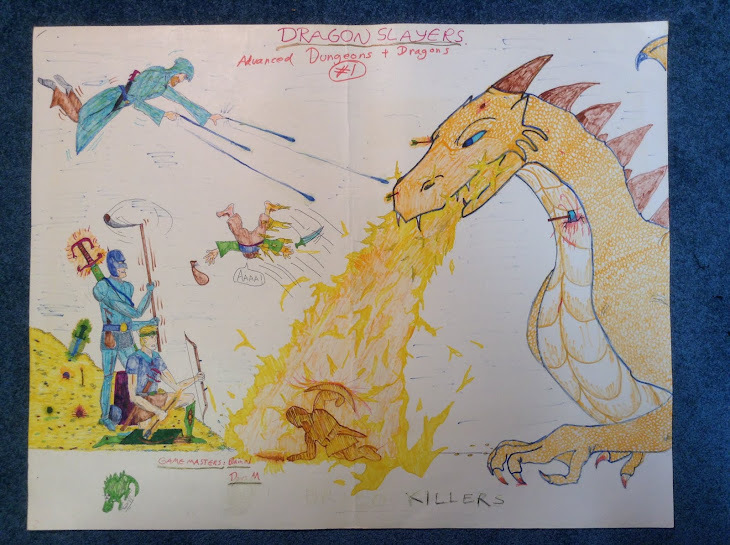 · Various RuneQuest items (parts of the MRQII corebook, parts of MRQII Monster Coliseum, RQ3 Griffin Island). · Various Rolemaster things (parts of the RM Classic corebooks, Rolemaster Express, some of my old Middle-earth and Jaiman campaign modules, etc.). · Various Stormbringer and Elric! (Chaosium’s ‘BRP’ version) items (parts of the core books, the amazing Corum supplement, various adventures); etc. · Recent issues of Fight On! and Knockspell. Ever since my last S&W campaign wrapped up I’ve been somewhat ‘at sea’. I’m not sure what to focus on next. Most likely I’ll be running Call of Cthulhu for my Toronto group when I return in late December, so that has provided some structure to my procrastination sessions. But I also cannot help thinking about how to tweak and improve my Ilmahal fantasy setting, including thinking about running something set in Ilmahal using a different system (say, OpenQuest, Elric!, MRQII, or RMC). 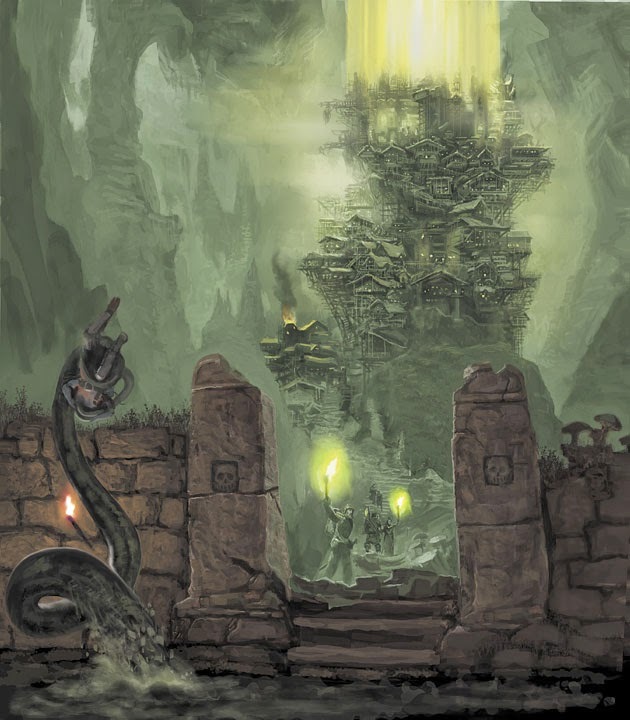 Frog God Games, the successor to Necromancer Games, is pleased to announce that effective immediately, Mythmere Games, headed by award-winning author Matt Finch, will be joining up with the Frog God Publishing team to produce even more of the true old-school gaming resources that Necromancer Games and Frog God Games have always been known for. Matt explained one of the reasons for the agreement as “"There is a large and active community of gamers playing various out-of-print editions of fantasy role-playing games. This alliance is going to be a big leap forward in terms of providing new resources and adventures to those of us who prefer an older-school type of game. It doesn't matter if you're an old-school grognard, a brand-new player, or an experienced gamer trying out this whole 'old-school' thing the internet keeps talking about. You're going to like this". As a result of this merger, Frog God Games will be publishing the Complete version of the old school, ENnie Award-winning Swords & Wizardry™ fantasy role-playing game, which will be released in November. “This merger is very much in line with my philosophy on game design, I play an old school game at my table, and have always written and produced books of that genre”, said Bill Webb, CEO of Frog God Games. Frog God Games and its predecessor, Necromancer Games both are known for producing d20 and Pathfinder adventures and sourcebooks with a distinctive “old school” feel. Necromancer, where Bill was partnered with Clark Peterson, produced over 50 books between 1999 and 2007, including Wilderlands of High Fantasy™ (under license to Judges Guild), Gary Gygax’s Necropolis™ and Rappan Athuk, Dungeon of Graves™. 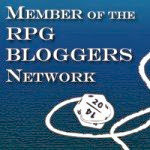 Frog God Games will now produce game supplements for both the Swords and Wizardry™ game and for the Pathfinder Game™ (published by Paizo Publishing of Bellevue WA).Swords & Wizardry builds and supports free-form role-playing games.That is to say, games where “light” rules create a framework instead of trying to cover every detail, every rule, and every situation. Over 30 books are currently in production for release in 2010 and 2011. Matt explained , “There are a lot of gamers out there who are using out-of-print rules quite happily, or who have a vague feeling that they lost some of the game's spirit over the years and don't know how it happened. And then there's the thriving community of old-school gamers on the internet, who have been powering forward for years. I think this new development is going to take us to critical mass. With an old-school game like Swords & Wizardry breaking into the mainstream, with all the power of Frog God Games behind it, I believe that all these three gamer-communities are about to connect. This is when the thunder starts to roll.”. The Swords & Wizardry game “clones” the original rules of the fantasy role-playing game that started it all back in 1974, when it was published by Gary Gygax and DaveArneson. Part of the reason for the merger was to expand distribution and enhance production quality by involvement of a larger company. Matt described this as, “a step that has been developing for years, as the old-school community has grown larger and larger, supported by more and more gamers, and, increasingly, even by publishers. And this is the point where it all reaches critical mass, I think. Frog God Games has the resources and the high profile to introduce this particular style of gaming back into the mainstream." Here is the Frog God Games website. More information on the 'Swords & Wizardry Complete Rulebook' can be found here. One especially nice thing is that our Druid class description is written by Dennis Sustare (the original author who invented the druid character class - think, "Chariot of"). It looks like both the Core Rules (hopefully with the excellent Pete Mullen cover unchanged) and Brave Halfling's 'White Box' rules will continue to be available. Today is the birthday of H. P. Lovecraft (20 August 1890). To commemorate this day, I thought that I would quote a passage from S. T. Joshi’s “Introduction” to one of the many collections of Lovecraft stories that he has edited (The Call of Cthulhu and Other Weird Stories, Penguin Classics, 1999). The passage describes Lovecraft’s metaphysical views (“mechanistic materialism”), and their connection to his fiction. In the mid-1920s Lovecraft was momentarily disturbed by the implications of Einstein’s relativity theory and Planck’s quantum theory, both of which were hailed by many as spelling the downfall of mechanistic materialism; but his later adherence to the materialism of Bertrand Russell, George Santayana, and others allowed him to reconcile the findings of modern astrophysics with his fundamental views. 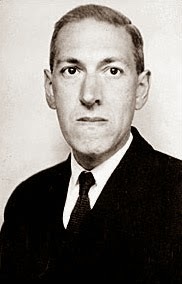 However, does not Lovecraft’s philosophy contradict his stated motives for writing weird fiction, as enunciated in his essay “Notes on Writing Weird Fiction” (1933)? It is important not to be led astray here. Lovecraft is not renouncing his materialism by seeking an imaginative escape from it; indeed, it is precisely because he believes that “time, space, and natural law” are uniform, and that the human mind cannot defeat or confound them, that he seeks an imaginative escape from them. Lovecraft’s philosophical position virtually necessitated the central conception in his aesthetic of the weird – the notion of cosmicism, or the suggestion of the vast gulfs of space and time and the resultant inconsequence of the human species. I am not surprised at all that Lovecraft was influenced by Epicurean philosophy. The Epicureans thought that the universe was composed ultimately only of ‘atoms’. The gods were made of atoms like everything else (thus essentially ‘super aliens’, and not ‘supernatural’ creatures at all). 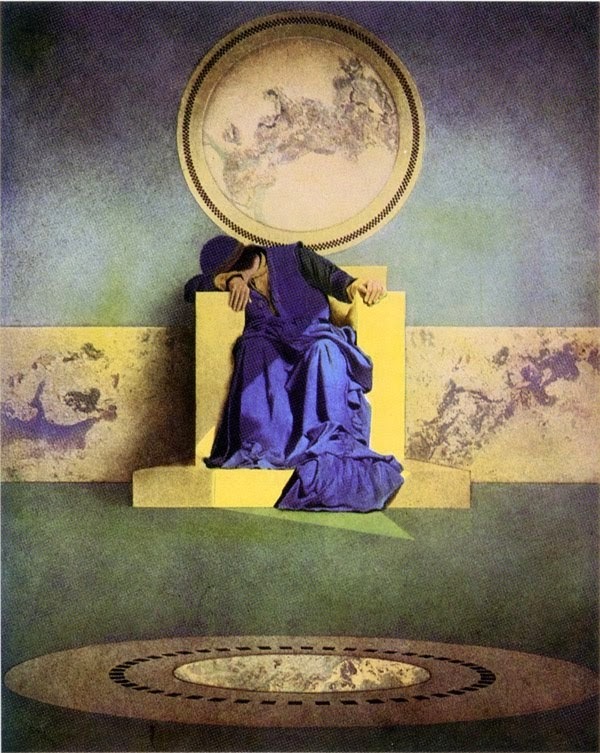 Neither willing nor able to prevent evil or suffering, the gods dwelt in the vast empty spaces between worlds. Sounds rather Lovecraftian, no? Of course, there are some important differences between the Epicureans’ conception of the gods and Lovecraft’s Great Old Ones. The gods lived in a perfect state of complete tranquillity and happiness (ataraxiai) according to the Epicureans, a state that they thought that humans should strive to emulate. Lovecraft’s Great Old Ones and Outer Gods … do not (or rather, whatever state they exist in is completely incomprehensible to us). And striving to emulate them invariably would render one mad, not tranquil!